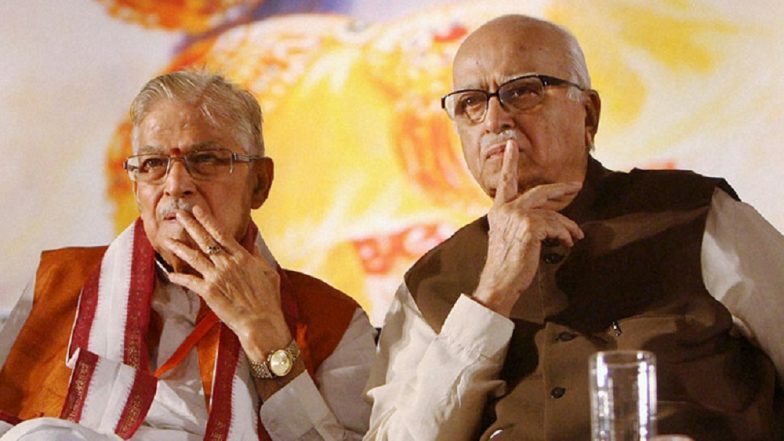 New Delhi, April 15: Sidelined BJP veteran Murli Manohar Joshi on Monday reacted to the letter to LK Advani being circulated with his name, calling it "fake". The former Union Minister has written to the Election Commission, seeking an inquiry into how it surfaced on social media and demanded action against the miscreants. The "fake" letter quoted Joshi telling Advani that the BJP would be restricted to 120 seats in the upcoming polls, and would retain only 7-8 constituencies out of the 91 parliamentary segments which went to polls in the first phase. The letter, going viral on Twitter, was seen as being written on Joshi's official letterhead. The watermark of news agency ANI was added by the propagandists to raise its credibility. The letter dated April 11 said the country will "not forgive" them if they continue to remain silent amid an attack on the ethos of democracy. "In the previous meeting you silenced me. In the next I will silence you, but isn't our silence a betrayal," it says. Joshi was further quoted in the letter as claiming to be approached by the Opposition, asking him to jump ship to their camps. The letter further added that he would not be leaving the "home", despite being thrown out by "our own family members". Advani, similar to Joshi, has been denied the ticket from Gandhinagar -- the seat represented by him six consecutive times. The denial of ticket virtually ends the political career of the 91-year-old, who co-founded the BJP along with Atal Bihari Vajpayee in 1980.